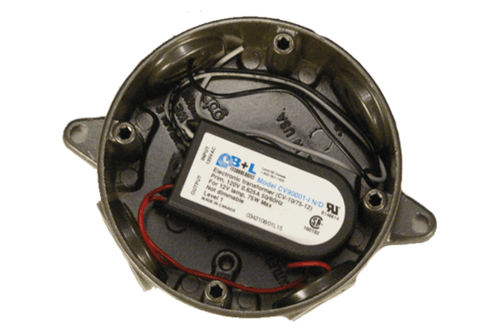 Electronic transformers for damp location installations. 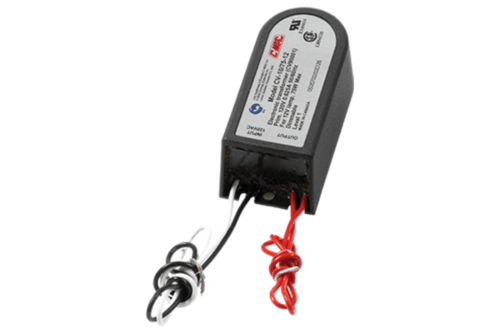 Can be used in junction box or other types of installations to power low voltage lighting fixtures. Available in 60W, 75W, 80W, & 150W capacities. 50/60Hz. 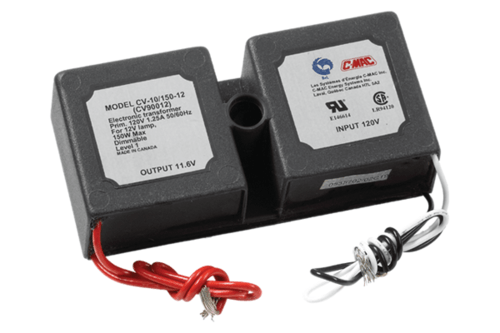 11.6V output Increases lamp life of 12V halogen lamps by up to 50%. 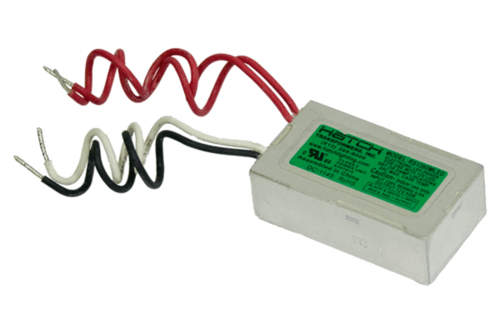 Input voltage choices of 120V, 230V or 277V (varies by version). 120V versions are dimmable. Non-dimmable version available and recommended for use with most retrofit LED lamps. 60W version has no minimum load and is recommended for use with Vision3 fixtures that have 4.5W or 12.5W LED option. CSA & UL listed for U.S. & Canadian safety standards. Minimum temperature of -15°C and maximum temperature of 90°C. Will withstand harsh and damp conditions.